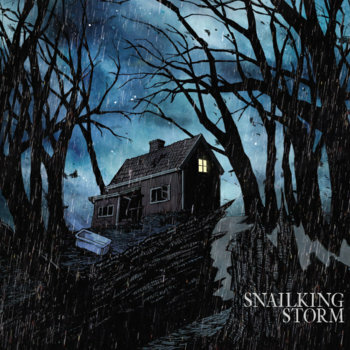 Snailking are about to release their début album – STORM – which I feel is going to make some waves within the Doom/Sludge/Stoner Metal scene. Snailking have kindly agreed to talk to us here at Sludgelord HQ. Hi! Things are great, we just received the first copies of Storm ourselves can’t wait to see it be released. Q2 – Can you tell our readers a brief history of how the band came about and where it is today. Frans and I are childhood friends, we’ve gone to school together and lived near each other growing up. We decided to start a band back in 2010 with another friend of ours named Adam. In 2012 we parted ways with him and met Jonas through the internet. He joined Snailking in March of 2012 and we immediately began refining the songs we already had together, and wrote some new ones. Jonas owns his own home studio, and we used just that to record Samsara just after three months of playing together. Since releasing Samsara we’ve been busy writing and working on the new material and playing live. Q3 – Your new album STORM is about to be released via Consouling Sounds. In your own words what can people expect from the album. A more sharpened Snailking all in all I think. I think the new record isn’t as raw as Samsara was, and by raw I mean that performance-wise Samsara wasn’t the best at all times. We recorded it over just a weekend, and took about two weeks mixing and mastering it. We spent a lot more time making this, we begun in October of 2013 and ended up finishing it in April 2014. Just the writing alone took us over a year. Storm is much more coherent, we had more focus of writing an album here where as Samsara just was thought of as a demo to show family and friends first of all. Q4 – Was it an easy or hard album to write and record for. And why did you call the album – STORM. Recording-wise I think it went very smoothly. We had worked on many of the songs for well over a year when we started recording Storm so I believe we had a vision of what we wanted from the start. The only song we wrote in the midst of recording the album is the bonus song Void on the CD version. Storm for me represents a “stormy period” in one’s life, a turbulent time. I write the lyrics and for me a lot of inspiration came from being on a sick-leave from work for 4 months because of too much stress. It turned my world around and took me a lot of time to get back on my feet. I lost the sense of hunger and had friends calling me just to see if I had eaten anything. So for me it’s about depression, feeling alone and being mistreated. But I also like to think it’s about rising from all that and coming back. Needless to say I had a hard time emotionally writing the lyrics. It’s all written very metaphorical and that was the intention, I like when you make your own assumption of what it’s about. What it means for me doesn’t necessarily have to be the same for the other members in the band. So it’s really meant to mean whatever one makes out of it. Q5 – What influenced you when recording the album. Well time for one, we had lots of time recording this album which means we could really sink our hearts in to it. We spent half a year in the studio as I said and I hope that really shows. This time around we also knew that people dug what we were doing before-hand so I think we were overall more confident this time. Q6 – How would you describe Snailking's overall sound. I would describe our sound as a heavy doom/sludge three-piece with an atmospheric vibe. I personally have always like the idea of a group with three members where each instrument plays an equally important role. Q7 – Which bands and artists influenced you as a musician. 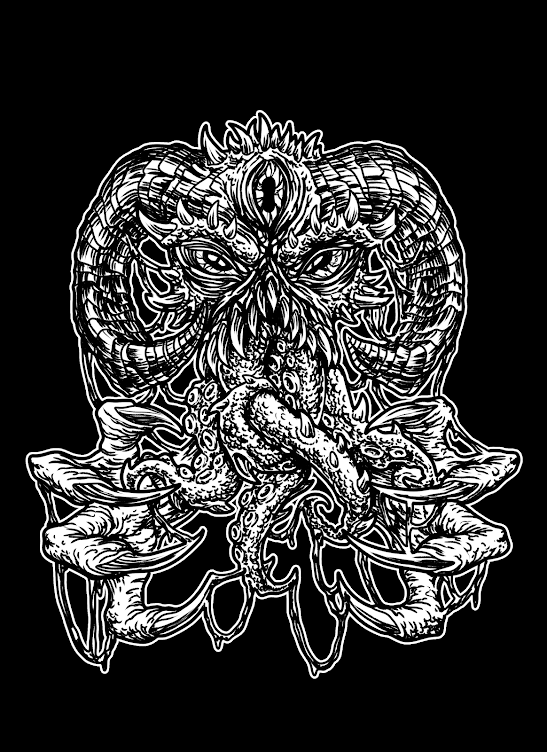 We listen to a wide variety of different bands from a variety of different genres ranging from Black Metal to Electronic music but we all meet somewhere in the doom and sludge sound. Black Sabbath, Electric Wizard, Harvey Milk, Melvins and YOB are some of my top bands though. Q8 – How did you hook-up with the guys at Consouling Sounds. Did you have any other offers from different labels to release your début album. Back when we released Samsara, truthfully it was just basically to show family and friends that “this is what we’re doing”. I posted a link to it on Reddit and it gained attention quick. The first couple of days we had well over 1000 plays. I think five days after we posted the demo on Reddit Mike from ConSouling Sounds contacted us through there and said “Hey, we wanna work with you”. Seeing that they worked with acts like Amenra and Alkerdeel we said yes very quickly. We had no other offers at the time, it just felt very right to go with ConSouling Sounds from the start and we haven’t looked back since. Q9 – Congrats on getting your record released on Vinyl. Did you have much input into the design of the cool vinyl. Or was that left to the label. Thanks! As we did with Samsara we left the artwork to our friend Johan Leion. We were really satisfied with the last one and gave him pretty much free hands. We just told him some vague ideas of what we wanted, pretty much “just think storm” and he did his magic. The artwork is equally important to us as the music itself so we wanted it to reflect the county Småland in Sweden which we all live in which is known for its dense woods. Q10 – Which format is your preferred choice for people to listen your music on. CD, DD, Vinyl and Tape. And the reasons why. Vinyl, it’s just something special with that vinyl sound. And besides, you can really see the artwork better than on the small CD covers. But in reality I listen to MP3s the most, it’s just more convenient and easier to carry around. 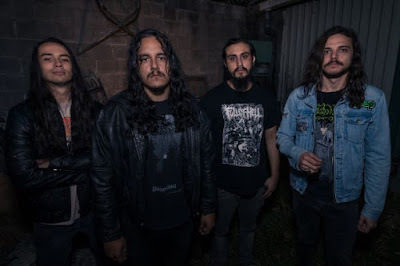 Q11 – You first came to my attention and perhaps the Sludge/Doom/Stoner Metal scene back in 2012 when you released – SAMSARA – to some acclaim from fans and critics alike. Did the response for SAMSARA surprise you back then. Absolutely! It took us some time to fully comprehend what had happened, we weren’t expecting to receive any attention at all let alone get contacted by a record label. Q12 – Would you change anything about SAMSARA or would you leave it the way it is. Samsara was a nice experience, Jonas had just joined the band and this was our first recording together. Because we pretty much rushed everything and did it over a weekend there are lots of errors and mistakes that we hear but people probably don’t notice at first glance. I like Samsara as it is, it took us to where we are now and I’m glad it did. But if I had to have changed anything I would’ve liked to have spent more time on it, there was no need to rush it. Q13 – What is the song-writing dynamic in the band. Is it a group collective or down to one individual. We all write our own parts and we mostly jam stuff together. Songs can take months to take shape, and they can end up sounding totally different from what they started as. We do all the music together so it’s a collective effort and I do the lyrics. Q14 - What is your musical set-up when playing live or recording your music. Any hints and tips would you like to give to the budding musicians out there. I usually use a Laney GH100L amp in either one or two 4x12’s live. On Storm we used both that and my Laney Klipp. On Samsara we mainly used my Matamp GT1. I’ve had almost the same pedals on both records with the exception of the Univibe which was an addition to Storm: Guitar > MXR Dynacomp > ROSS Distortion > Whirlwind Phaser > MXR Univibe > MXR Carbon Copy Delay. Frans plugs his bass into a Marshall VBA400 400W bass amp and uses and old Acoustic 2x15 cab. For all his distorted goodness he use an Aguilar AGRO Distortion pedal. Jonas regularly makes changes to his drum setup so it’s hard to keep up but he uses a mix of a PDP 805 kit and a TAMA Imperial Star kit. He often plays a 20” ride, a 20” crash and a 22” ride and an 18” china of different brands. We use the same equipment live as we did in the studio. Q15 – Do you play many gigs in Sweden or do you have to travel further afield to perform regularly. We haven’t done that many gigs in Sweden actually, it’s more than our gigs abroad but not by much. There are many bands in Sweden as most people know, and there are only a few places to play so there’s often a long wait to get to play. Or you need to book gigs many months in advance which we’re never really good at as we’re more the spontaneous types. It’s actually easier for us to get gigs abroad and that may well be because we’re always a tad late in to the planning process. We’ve been on two mini-tours since releasing Samsara and played in countries such as Denmark, Germany, Netherlands, Belgium and France. Q16 – What is your whole view of the crowd-funding scene. It's very controversial at the moment with the Hard Rock/Metal scene. Some bands are for it and some are against it. Would yourselves ever participate in a crowd-funding project. I don’t think we would ever do any crowd-funding, just because we wouldn’t want to feel obligated to a lot of people that has backed us. We like to take ourselves all the time we feel that we need, and having a lot of people spending money on let’s say a recording would make me stress out. We’re not against it, it may work for some people and I could see myself back a project if I believed in it but it’s just not for us. Q17 – If you could give any advice to someone wanting to start a band. What would it be. Don’t think of starting a band, just do it. It’s very easy to get stuck in the idea phase never to move on past that but if you throw yourself head-first in to it you’ll always end up with a more rewarding result I think. We’re working on a European tour to promote the album now and we’re dreaming of travelling farther away to play in the future. About 50% of our fans according to Facebook comes from USA and we’d love to play there some day but when you finance everything from your own pockets it’s just not financially possible at the moment to go there. Thanks for sticking with us and thanks for all the support you’ve been giving us, this has been a humbling experience for us all. Check our Facebook page to keep updated on tour plans and we’ll see each other on the road! Snailking – thanks for doing this interview. All the best with the album as it's a phenomenal début album. Been great talking to you. Storm will be available to buy on CD/DD/Vinyl from Sept 15th 2014 via ConsoulingSounds.